Can’t decide between aqua or coral? 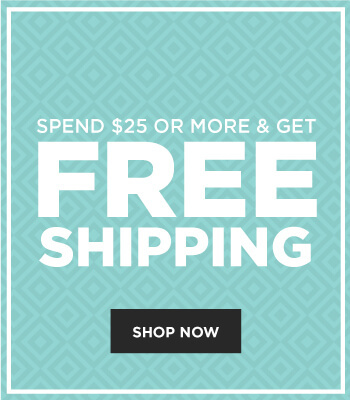 This is the perfect set for you! 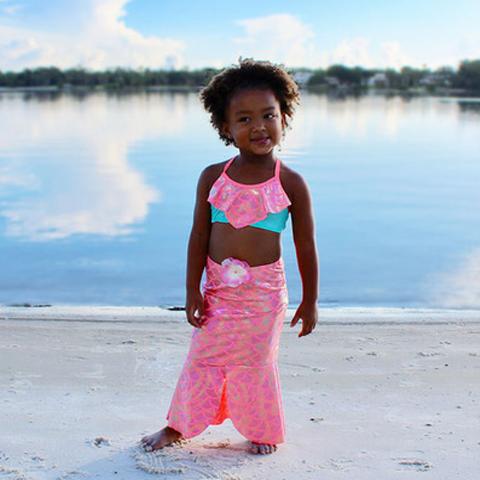 This 3-piece set includes a ruffled top with a unique open back design, solid bikini bottoms, and split front mermaid skirt. The set has glittery coral mermaid scales that glisten in the sun, two-toned with a beautiful aqua solid. The skirt has an open bottom and split front to allow for total leg movement and is the SAFER option than restrictive monofins. 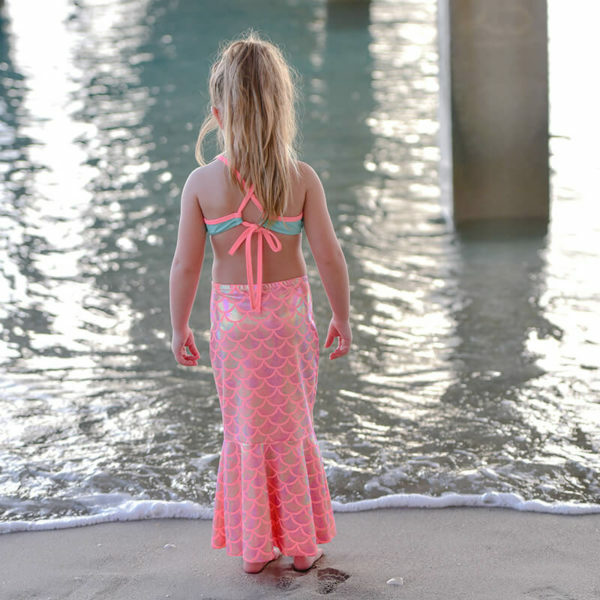 Not only can you wear it in the water like a true mermaid, the open bottom allows your little one to easily walk and wear her outfit to the pool, the beach, through the hotel, or on any adventure! PROUDLY MADE IN THE U.S.A! 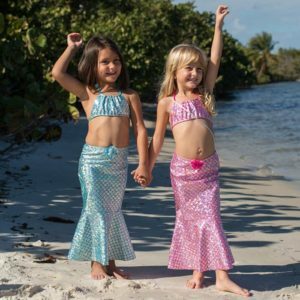 Bikini Mermaid Skirt: high-quality Lycra 83% Nylon, 17% Spandex. Hand wash in cold water and lay flat to dry. As with all swimwear fabric, high heat from a washer or dryer can be damaging to the color, shine and elasticity of this item!